Church of England, Parish Church of South Petherton (South Petherton, Somerset), South Petherton Parish Registers, "Burials, 1574-1849," Ann Vaux burial, 28 June 1780; accessed on FHL microfilm BRITISH 1,526,363 (accessed 6 February 2014). 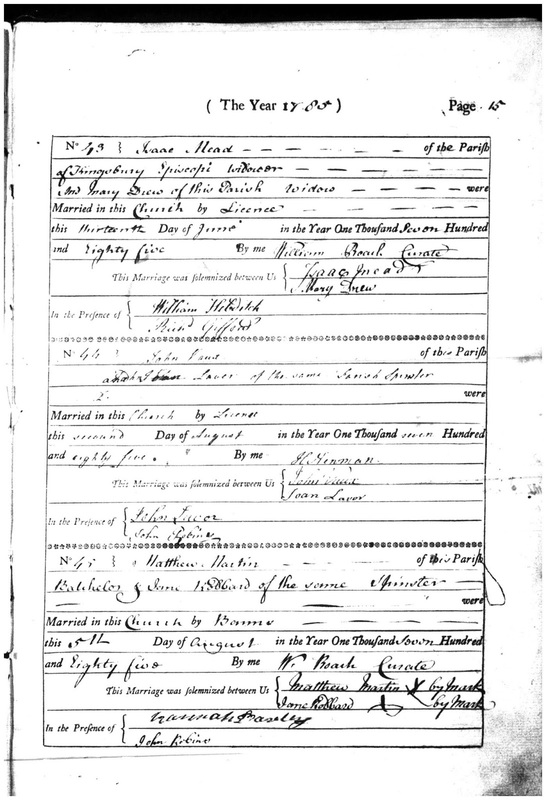 This is an Original Source record, with Primary Information and Direct Evidence of their names, and the marriage event. While the record is for "Ann" Vaux, the Vaux family genealogists state that it is for Amy (Terrell) Vaux.